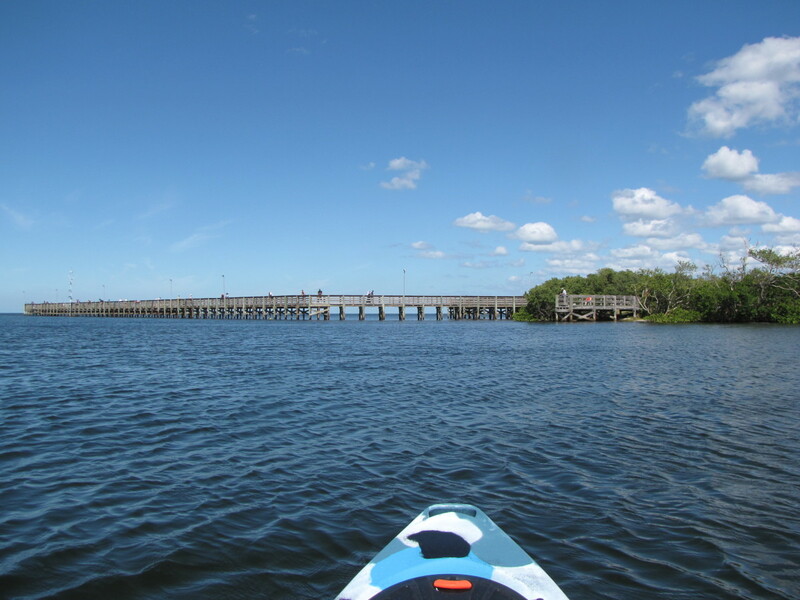 Next up on my tour of the best kayaking spots on the Gulf Coast just north of Tampa is Anclote River Park located in Hudson, Florida. 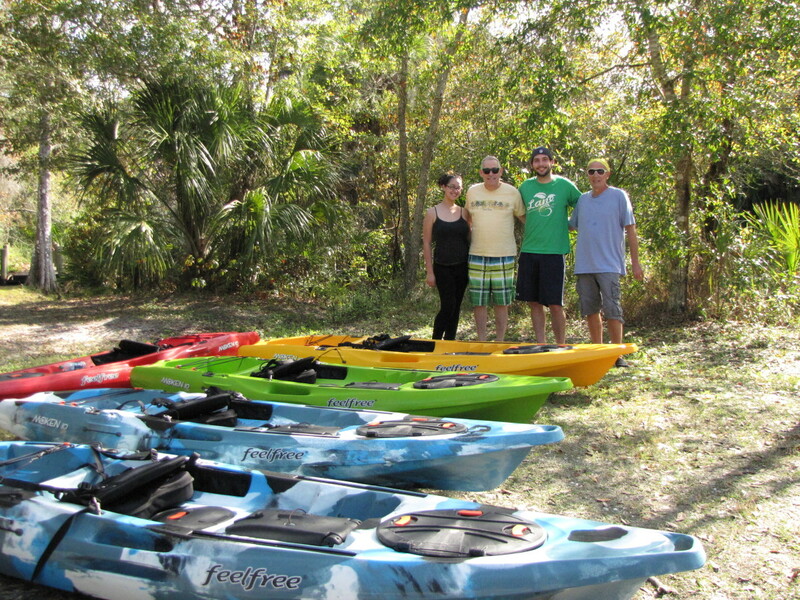 In addition to being a great spot for kayaking, the park also offers a large protected swimming area and a quiet and serene park complete with picnic areas, a playground, lots of open grassy areas, and a boat launch. 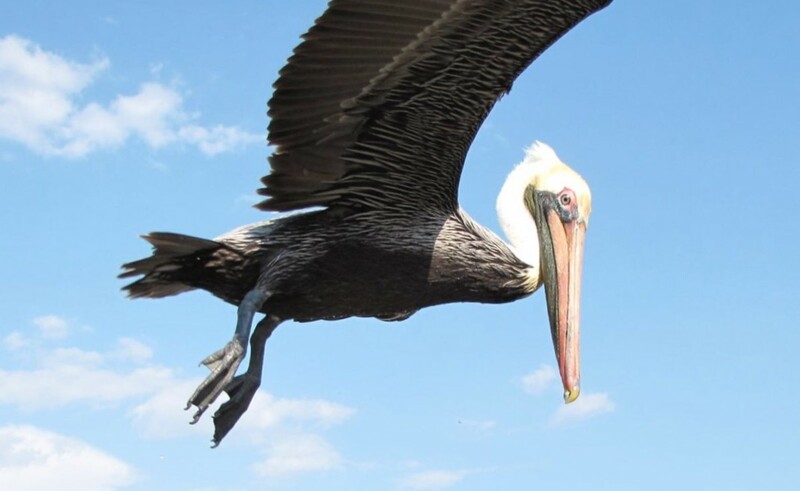 The park is on the Great Florida Birding and Wildlife Trail so it’s also a great location to look for some of Florida’s many aquatic and bird species. 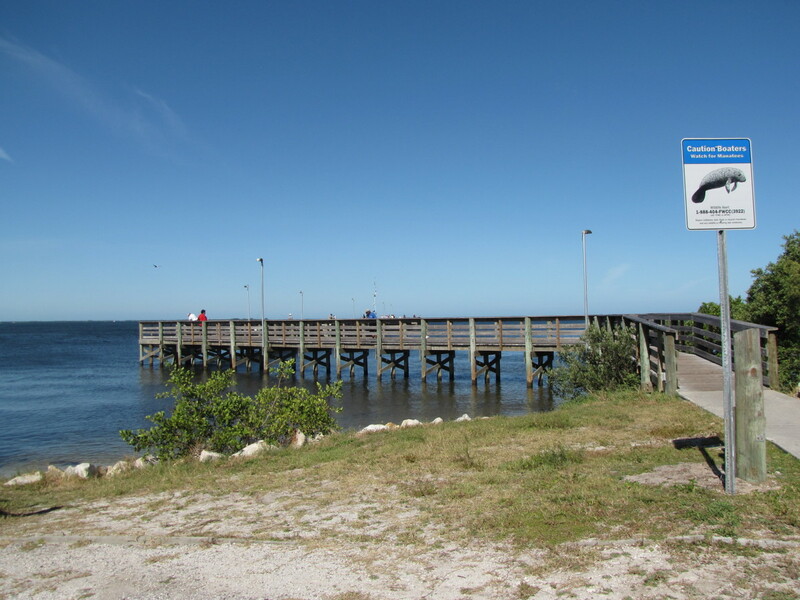 The main park is located just to the south of the Anclote Power Plant, but there is also a pier and another launch site just to the north of the plant at the smaller Anclote Gulf Park. While the site of the power plant’s exhaust stack will be a turnoff for some the warm water discharge from the plant draws manatee and other species, which makes this a particularly interesting area for viewing wildlife. For our day we launched from Anclote Gulf Park on the north side of the power plant, which draws fewer visitors due to its lack of a swimming beach and boat launch. 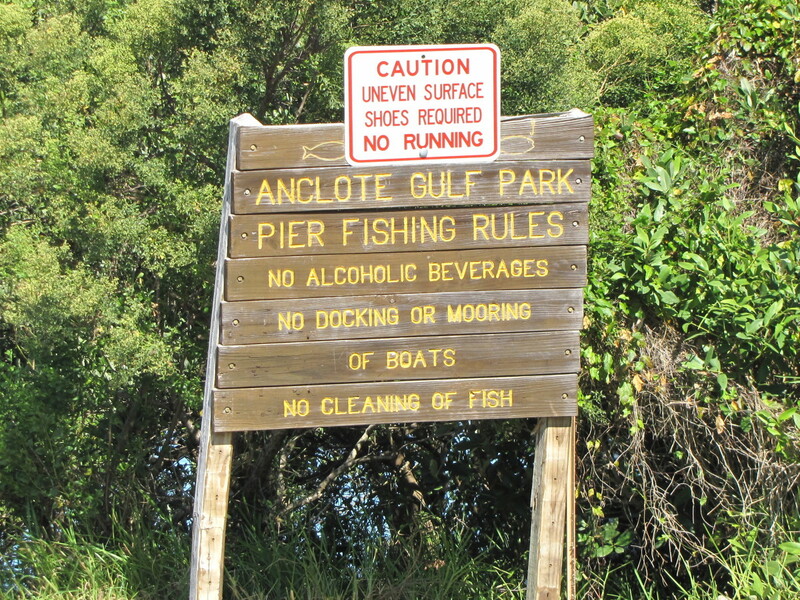 If you do launch from the Anclote River Park be cautious as there is a lot of boating activity there due to the boat launch and the Anclote River terminus. Tarpon Spings is located a few miles up the Anclote River so you get a lot of the sponge boats and tour boats coming and going from there. 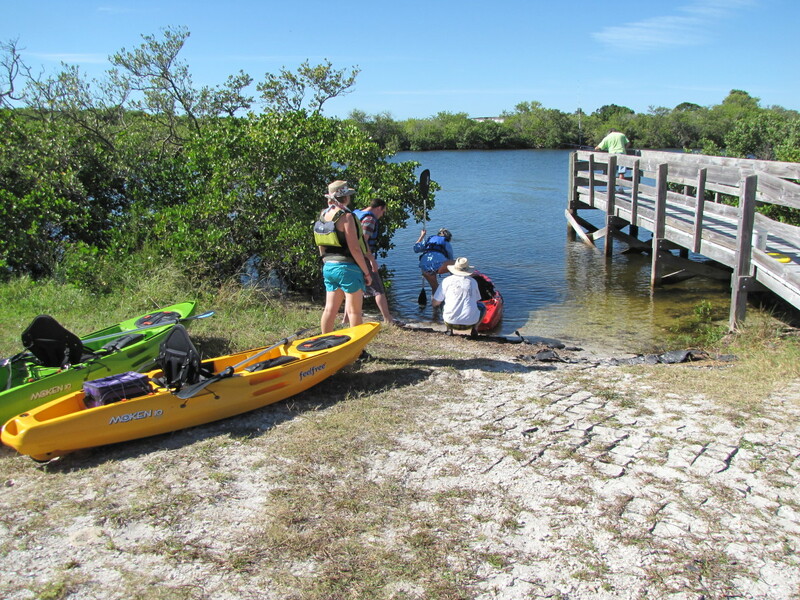 The pier at Anclote Gulf Park is used mainly for fishing but there is also a small sandy spot adjacent to the pier that is perfect for putting in your kayak. We always find Anclote Gulf Park to be less crowded with both people and boat traffic. As with most of Florida’s parks there is a $2 fee to park that operates on the honor system so make sure you put your parking receipt on your dashboard to avoid getting a ticket. 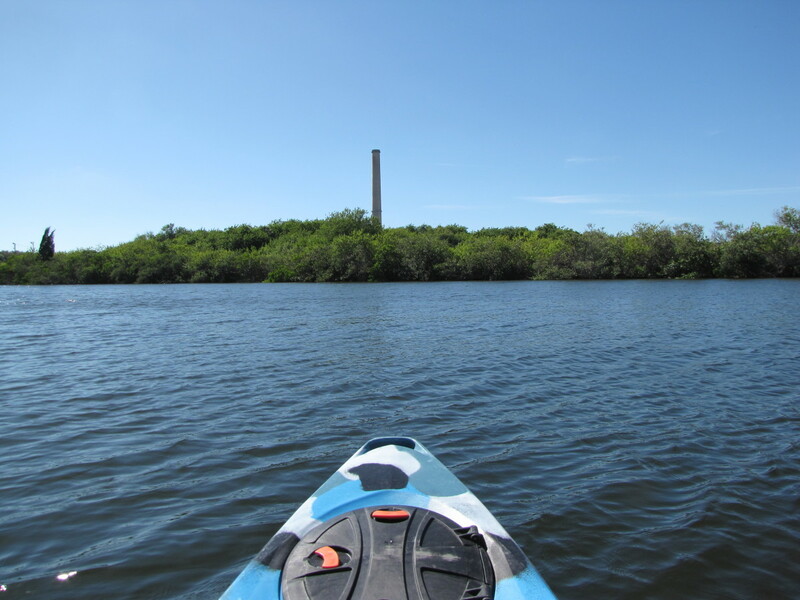 Once in the water you can follow the coast in either direction but we headed south flowing the mangroves and inlets until we reached the Anclote River Park on the other side of the power plant. What always amazes me about going out on the water is how quickly you can get away from it all and find yourself immersed in the beauty of all that nature has to offer. Despite the location of the power plant this area is home to numerous bird species and a rather active aquatic presence. 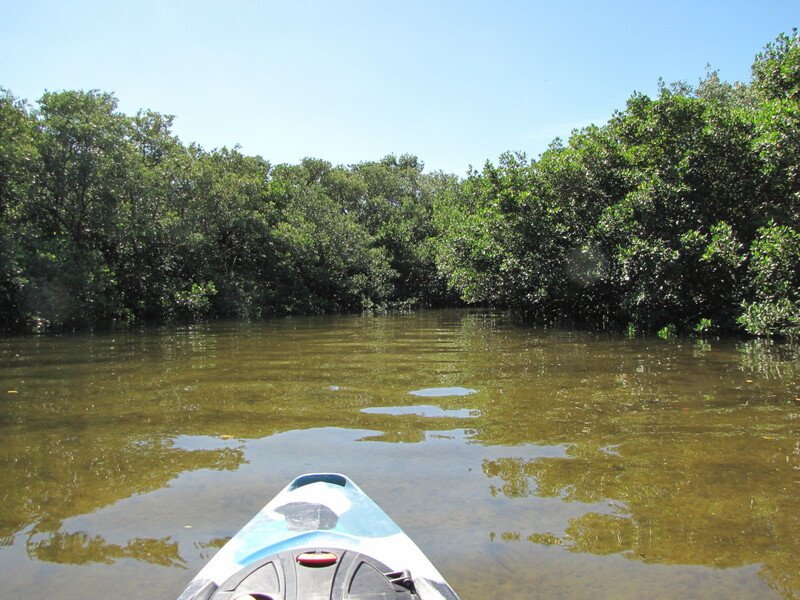 As with most of our kayaking adventures in this area of Florida, viewing wildlife was high on our priority list. Along with the usual assortment of raptors and shore birds, we were treated to a small pod of dolphins that was certainly the highlight of our day. 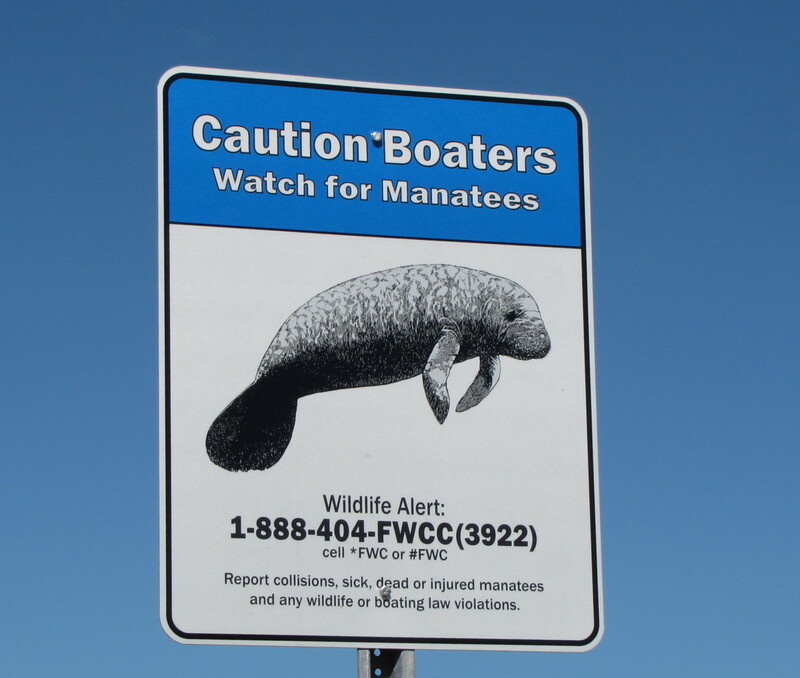 We also saw a large stingray and although we didn’t catch a glimpse of a manatee, we were told upon returning to shore that they were in the area and we have seen them at this location in the past. 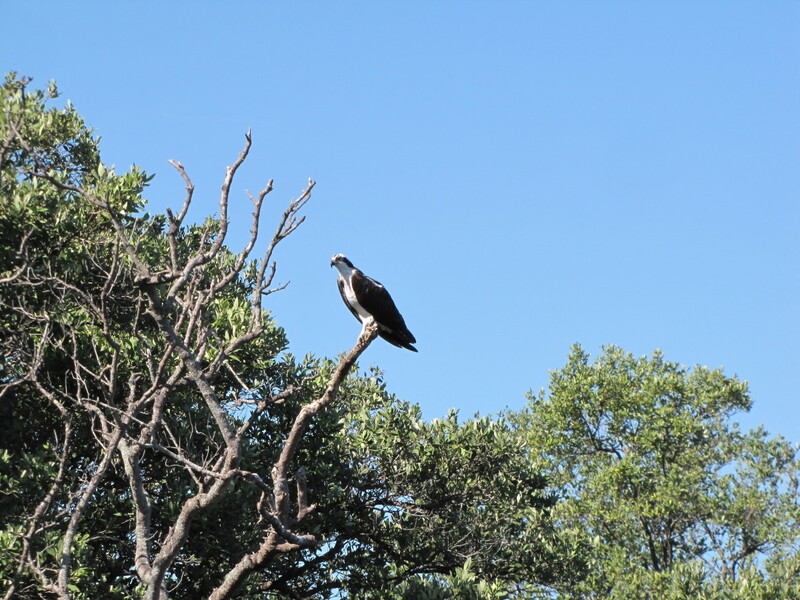 This particular area is also rich with osprey and you will see a number of nests, which are quite large and easy to spot. 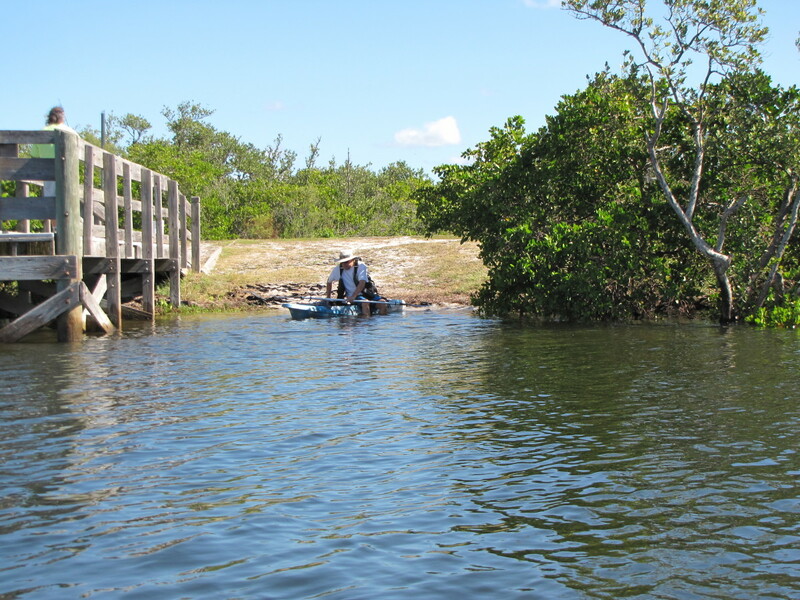 If you are feeling particularly energetic, we did not, you can paddle out to Anclote Key Preserve State Park, which is a collection of four small islands located about three miles offshore and is accessible only by ferry or private water craft. The island is home to over forty species of birds including the majestic Bald Eagle and the Piping Plover. The islands are a great place to spend a day snorkeling, hiking or sunbathing. A camping area is also available should you be interested in spending the night. If you venture out this far be sure to visit the historic Anclote Key Lighthouse, which dates back to 1887. Please be sure to leave yourself plenty of time if your destination is the Anclote Key Preserve Islands. 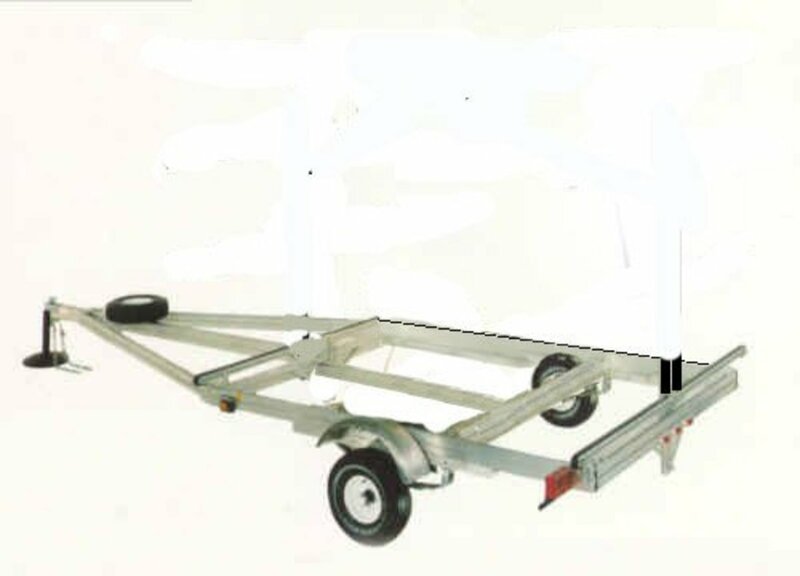 Tidal conditions and weather, especially the wind can make this a rather long and difficult journey so make sure you are fit enough for the effort. Another interesting destination to explore from here is to head up the Anclote River Park to Tarpon Springs, known as the sponge capital of the world. This Greek community is a wonderful place to spend an afternoon and has some wonderful Greek restaurants. Just be careful heading up the river as there is a lot of boat traffic here so stick to the shoreline. And just south of the sponge docks is one of my favorite beaches in all of Florida, Fred Howard Park. This pristine sandy beach is located at the end of a half mile long causeway and in addition to the beautiful beach there is also a very nice park on the mainland with picnic areas, playgrounds, hiking trails, and its own kayak launch, which we hope to explore in the future. 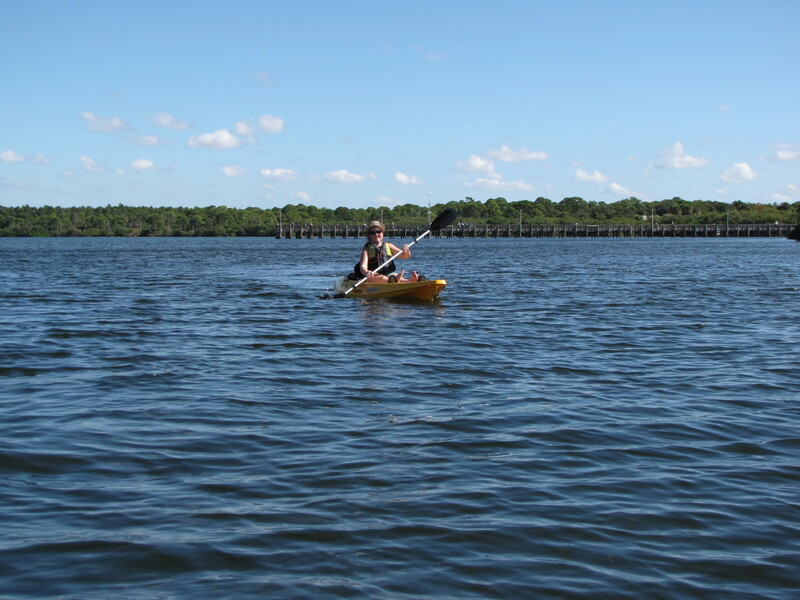 This area of the Florida Gulf Coast has many options for kayaking so grab your paddle and start exploring. 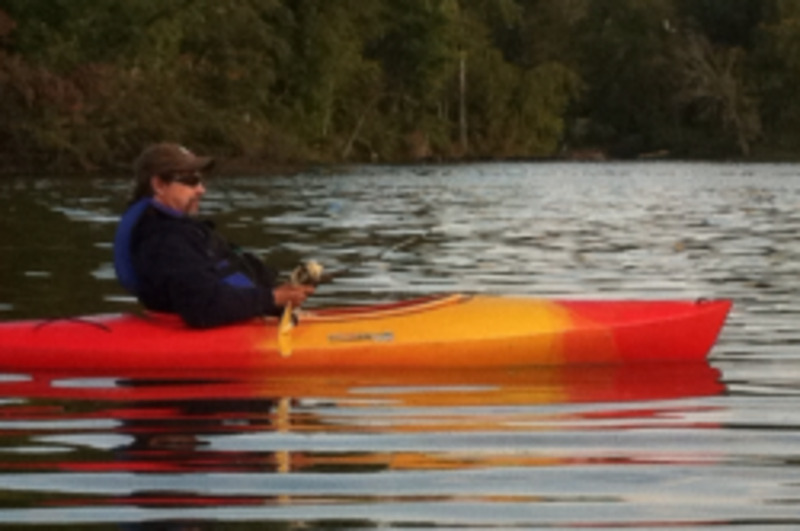 There is an abundance of wildlife here and you never know what you’ll see on any given day while out on the water. From a bald eagle soaring overhead to a pod of playful dolphins there is always something here to make you smile and help make your day unforgettable. Hi Peggy. Thank you, glad you enjoyed the ride. We always seem to wind up in Tarpon Springs at least once on every trip to the Tampa area. The wildlife in the area really is amazing and is always a highlight of our visit. Thanks again, have a great weekend. I always enjoy armchair traveling with you Bill when I read your hubs. While I have not done any kayaking, I have enjoyed seeing manatees in Florida and spent a bit of time in Tarpon Springs..."the sponge capitol of the world." 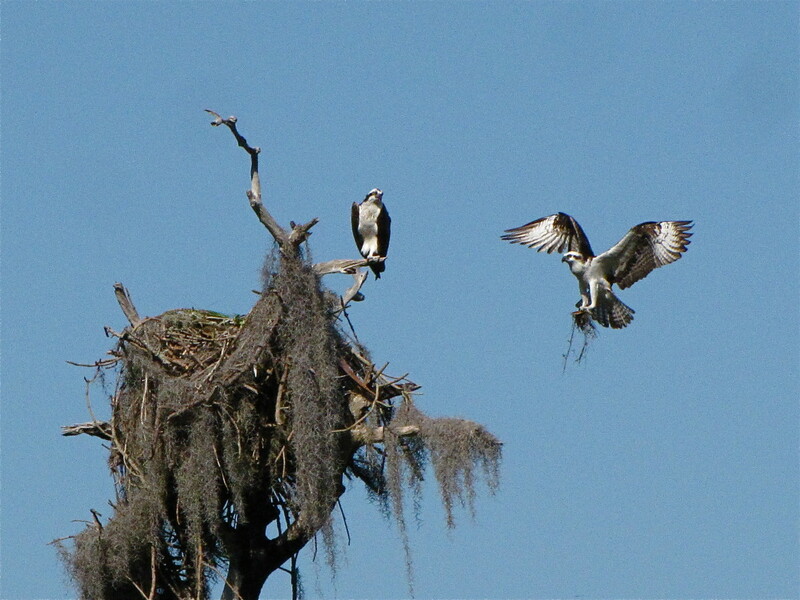 Loved seeing your wildlife photos especially the one with the 2 ospreys. Great shot! Hi Stella. Thank you. 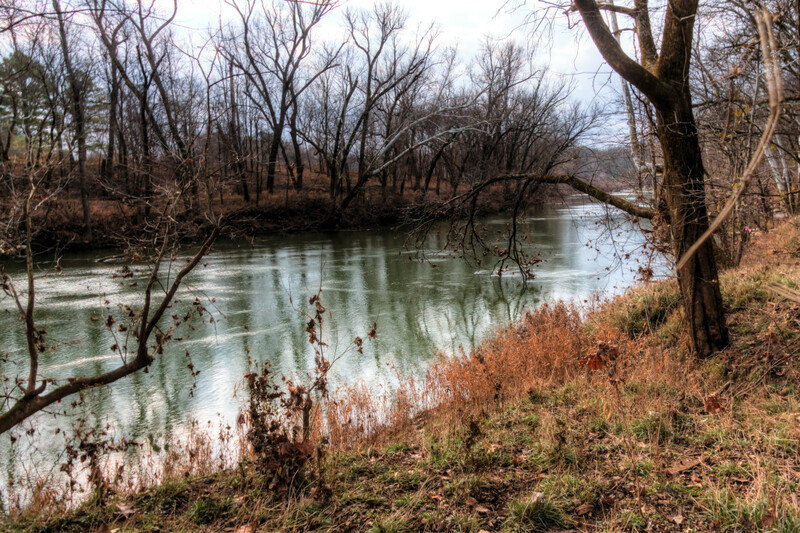 We are always looking for new places to explore so we'll put the Santa Fe River on our list for future reference. Love seeing the Manatee and we have had great success at the Weeki Wachee River seeing them. Thanks again, have a wonderful week. Thanks Flourish. It's always a highlight seeing a manatee. This is a great area for seeing wildlife, especially the birds that call this area home. Thanks for stopping by, have a great day. 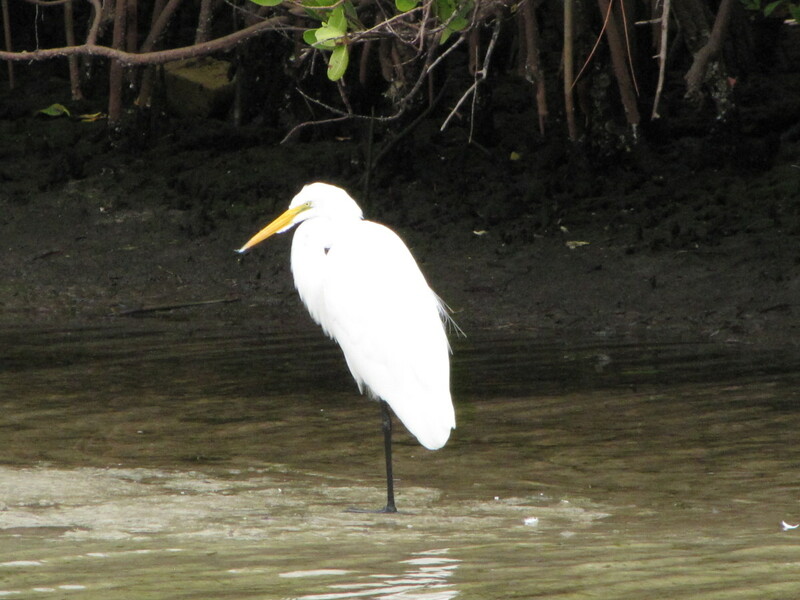 Beautiful birds and the chance to see a manatee -- awesome. You highlight all the essentials in this well written hub. Wish I could go now! Hi Linda. Thank you. 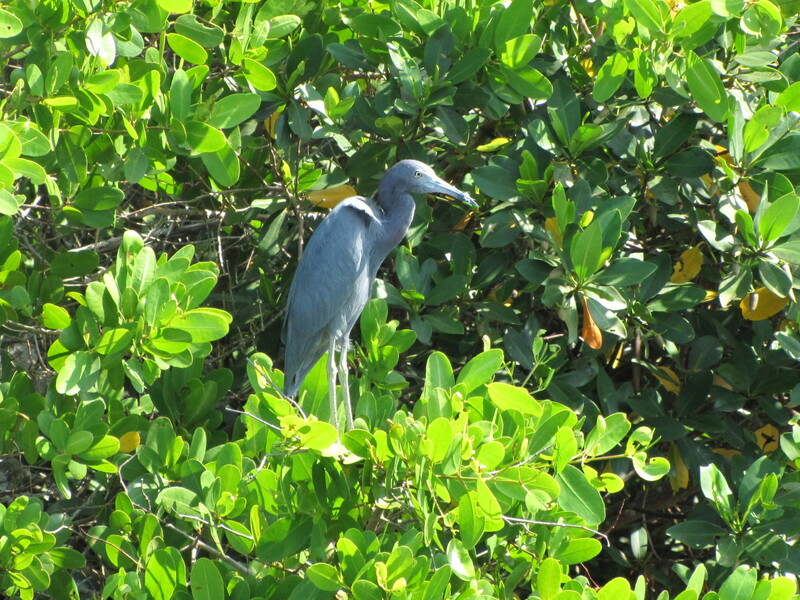 Yes, for us it is always about viewing wildlife also and this is a great area to see many of Florida's native species. Plus we get a little exercise in the process. Have a wonderful day. Your travel hubs are always so enticing, Bill, and the photos are always interesting. I love to visit any place that lets me observe wildlife, so I'm sure that I'd enjoy the park that you describe. Good morning Bill. Yes, it's a whole different animal out there. 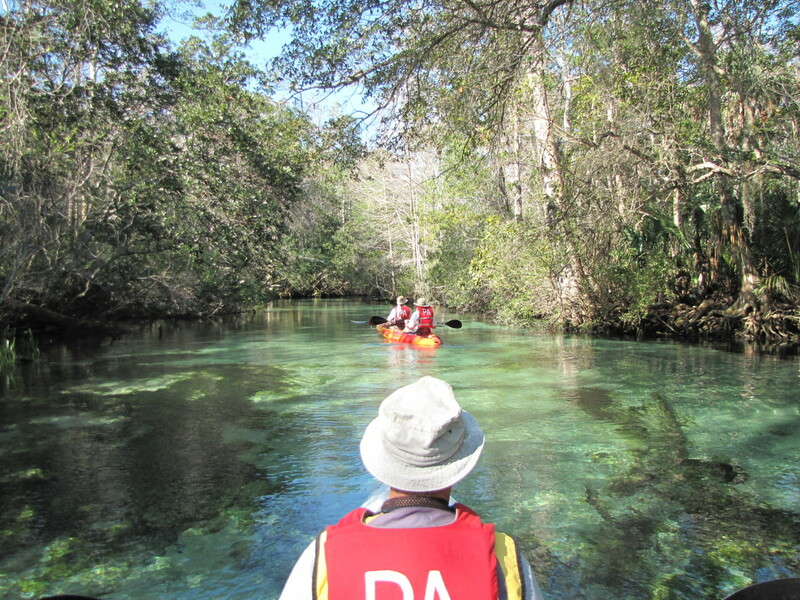 All of the rivers we've been on in Florida have been pretty tranquil and easy. 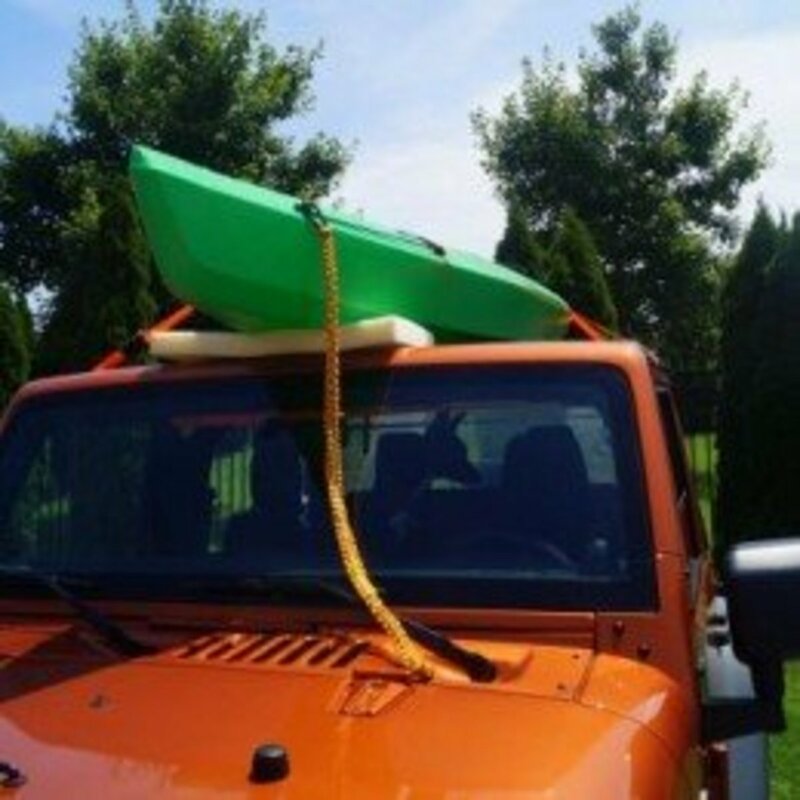 We really want to kayak the San Juan Islands. One of my favorite places out there. In fact we are thinking of a possible trip out there for next year. I'll keep you posted. Have a great weekend. Hi Suhail. Thank you. Definitely my kind of place also. 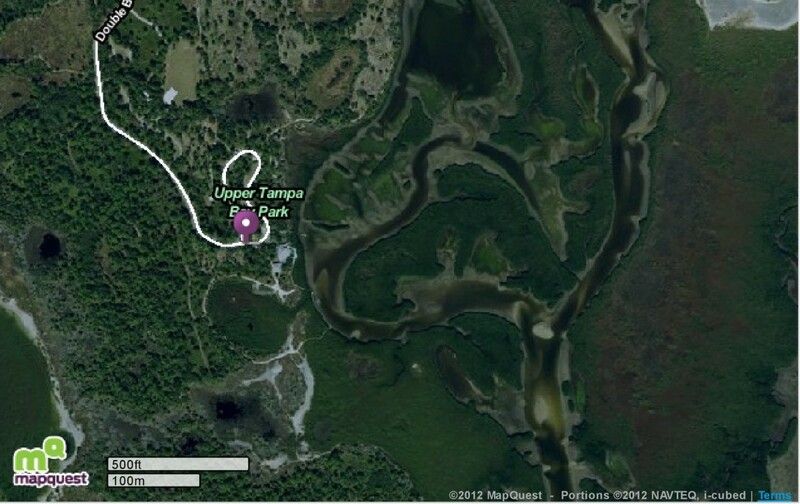 Whenever we are in this area of Florida we try to find a new place to kayak and look for wildlife. There is no shortage of places, which makes it a great area if you enjoy hiking, wildlife, kayaking/canoeing, etc. Thanks for stopping by, have a great weekend. Only the truly brave kayak rivers in this state....here, as you know, it's the Puget Sound and the San Juans.....but I digress...as always, a great travel/adventure article. Well done, Bill. Exactly my kind of hub! I love hiking, trekking, and canoeing for wildlife photography. I have been to Florida before for photography and this hub is very informative for me to at least plan a similar trip, if not exactly this one.